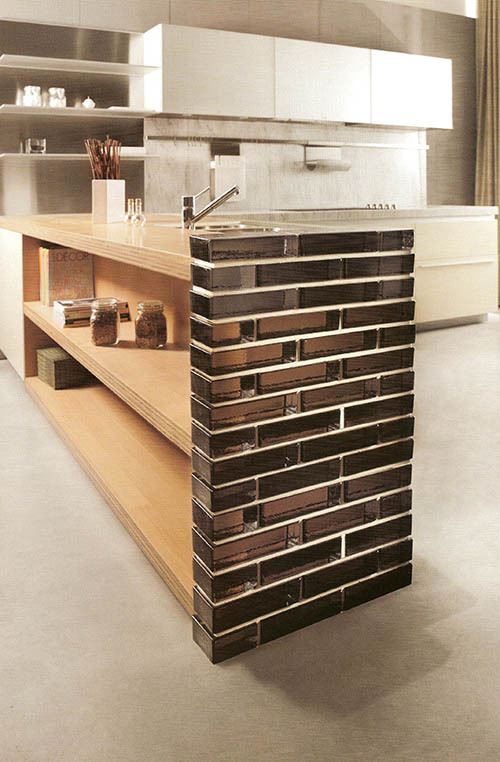 These pictures are from an exciting new line of glass bricks from an Italian Glass Company called SEVES. Seves is a cutting edge glass block company using old world Italian glass craftsmanship with new world glass making technology. 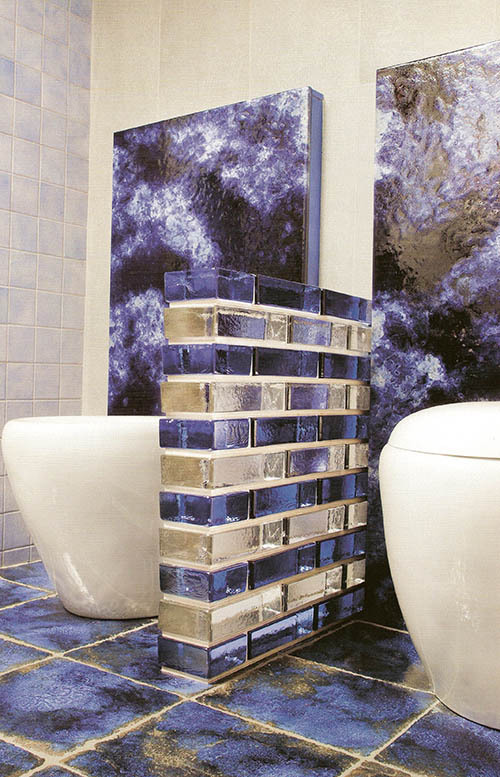 These glass bricks available from Masonry & Glass Systems are made in two sizes and 4 colors. The colors are clear, dark blue, goldtone, and black. The glass is clear and so you get good depth of glass that makes walls of this product so striking. 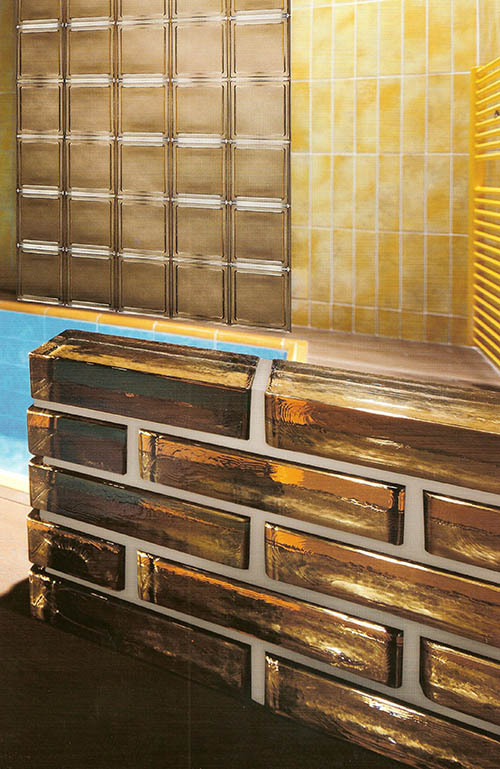 Kitchens, bathrooms and outdoor applications such as patios and swimming pools are just the beginning of where these beautiful, imported from Italy glass bricks can be used.